As a past-life regression therapist for many decades I have been extremely comfortable journeying into other lifetimes - past, future, parallel, concurrent. Over the years I have journeyed professionally, over 30,000 times. Not all regression practitioners venture into the Afterlife however, but as a therapist, I have always known that the key to the shifts clients are seeking is found in the afterlife - NOT IN THE PAST LIVES. Seeking and finding the MOST RELEVANT other lifetimes is significant, but it doesn't resolve things, complete things, heal things. It gives information - the realization awareness. But it DOESN'T integrate into one's CURRENT LIFE. In the afterlife, all seemingly loose ends are tied together. In the afterlife, the responsibility to all your lifetimes kicks in. In the afterlife, you 'get it'. The BIG 'IT'. The WHOLE IT. Now, I'll be the first to say that does not happen in one big swoop. Like earthly life, the afterlife is a process created from stages and layers of awarenesses and consciousness. Like earthly life, the afterlife is based on live and learn, so the more you live it and learn it, the more you advance and expand through your experiences. That's why Sage knows the opportunity is ripe to venture into the afterlife WITHOUT having to have a near-death experience. 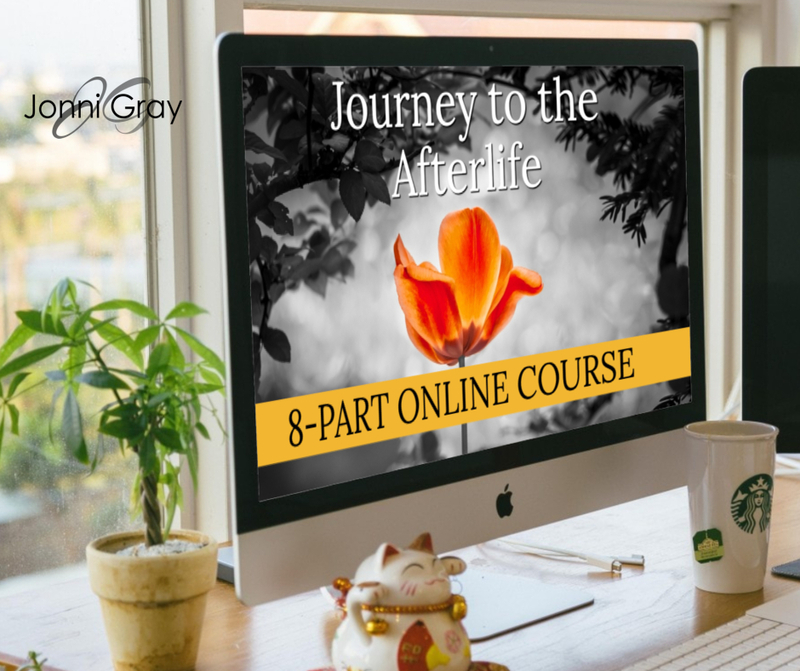 So right now you can begin journeying (again and again) into the afterlife to expand who you think you are and what you are doing here on the earth at this time. When I first began taking people to the afterlife, it was exactly that. I TOOK them. I GUIDED them. I didn't journey WITH them. It was the early '90's and I was just getting my bearings on how it all worked. In 1995 Sage made their formal appearance in my life. Over the next 17 years I was groomed to journey WITH those into the Afterlife. It was such a subtle long-term evolution that I can't put my finger on any other distinguishable details until....2012, when my 22 year old son Connor went off grid. As I have written about in my memoir, Conduit, the journey Connor took to the Afterlife changed everything for both of us. Nowadays Connor 2.0 and I fly together to the afterlife, and it continues to change THIS life for me on a daily basis - so much so that it was time to offer the Journey To The Afterlife on demand for others as well. You see I HAVEN'T had a near-death experience, yet my journeys to the afterlife have gifted me with the benefits of one. So I'm passing on the opportunity for YOU to journey as well. The more you journey, the more it ENHANCES how you see and live life. I couldn't imagine living any other way. You don’t have to have a near-death experience to gain the life-changing benefits.